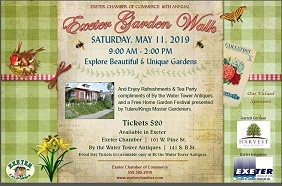 Fifteenth Annual Full Bloom Garden Walk on Saturday, May 11th from 9 am to 2 pm. 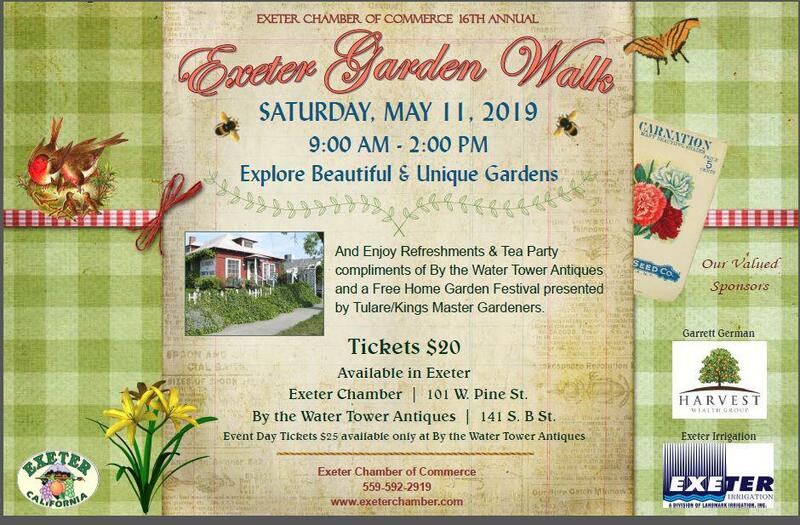 By the Water Tower Antiques, relax in the ambiance of their lovely Victorian garden, 141 South B Street. By the Water Tower Antiques. Tickets will be $25 the day of the event, available only at By the Water Tower Antiques.